Create a map in a tropical setting with a wide variety of terrain types for a game populated by evil characters. The game was set on a newly discovered continent in a pseudo-medieval world. Thematically, the map communicates the darkness of the setting’s characters and the untamed wilderness. The map uses vibrant blue and lush greens to give the feeling of rampant nature. 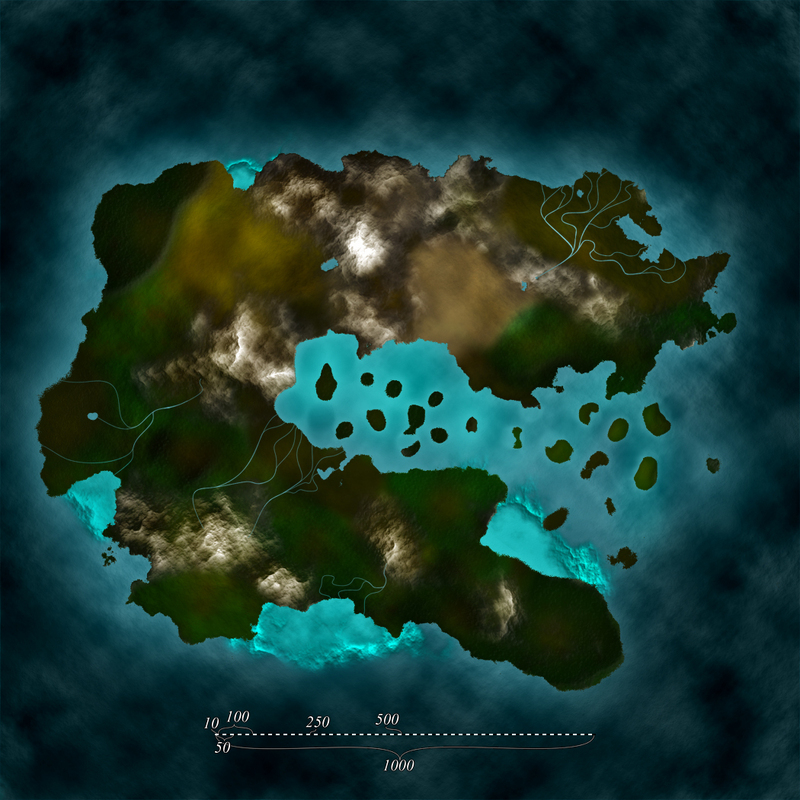 The map was created entirely through photoshop, utilizing brushes and filters to generate varied terrain.